What accessories should I buy with the camera? What doesn’t come in the box? What else will improve the camera usability? The original price for the camera is $399 but we found a factory refurbished one on Amazon for $329. With that said, we would rather support the local shops who sell the camera (not Best Buy, but rather bike shops who stock it). The camera comes with a few adhesive grips, a waterproof case and a wi-fi remote (only available with the black edition). The remote is the best addition from the older go pros. Now you can change settings, start recording and actually have feedback whether the camera is recording or in standby mode. A suction mount – so far has not ruined the paint on any of our bikes but we can’t be sure this will always be the case. A Jaws flex clamp mount – not necessary but provides good mobility on the front of the bars that can be moved easily while riding. We haven’t tested this yet but we expect it to have too much vibration during rides. Likely if you have the suction mount (above) you will not need this. A memory card (Micro SD) – This is a 64 GB Version that costs a bit more than the 32 GB version but will eliminate the risk of running out of room half way through an amazing stretch of road. 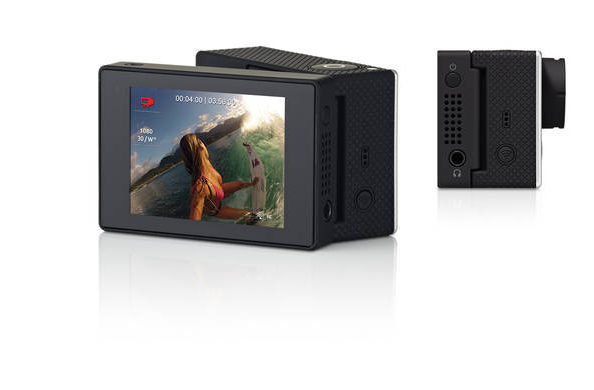 A view Finder or the Go Pro Bacpac touch screen LCD. This allows you to see what your’re filming, a common feature for a traditional digital camera but an extra cost for Go Pro. 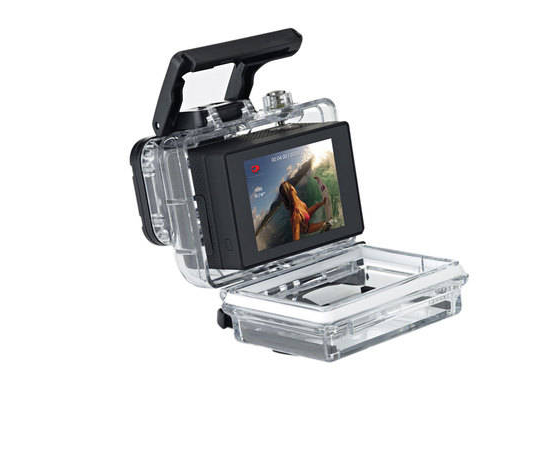 This does come with an additional waterproof backing plate that adapts to the waterproof case enclosed in the initial camera purchase. We are not sure if the battery life is sufficient for a long day out. More to come in the future product. Our suggestions to enhance the usage of this camera are to plan to buy the following items with the camera. 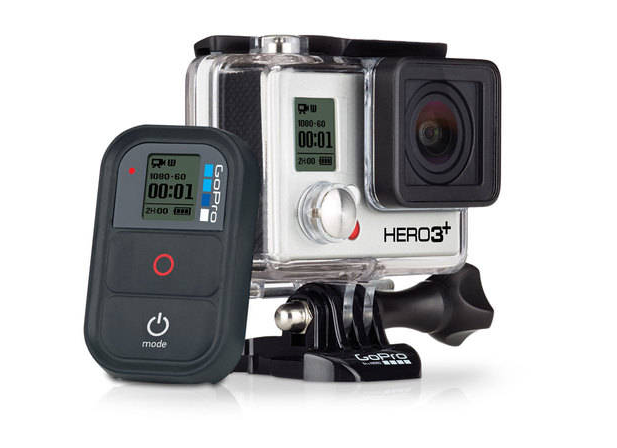 Clearly there is a cost consideration but we want you to be prepared to allocate these funds should you want the ultimate Go Pro usability experience. The summary below assumes you buy all of the items from Go Pro and not at a discount on Amazon or your local bike shop. 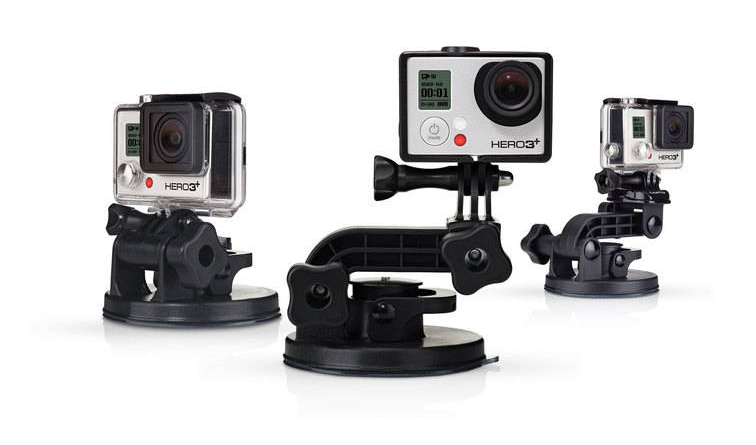 Additionally, we are assuming that you buy the suction mount instead of the Jaws flex clamp mount as the Jaws mount costs a little more. 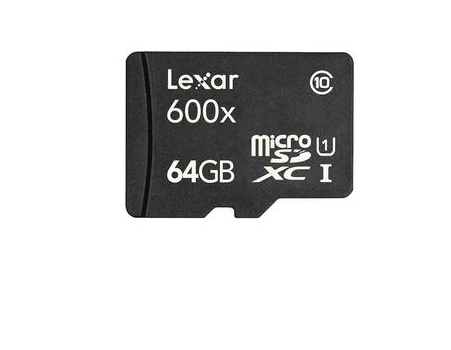 64 GB Micro SD Card. 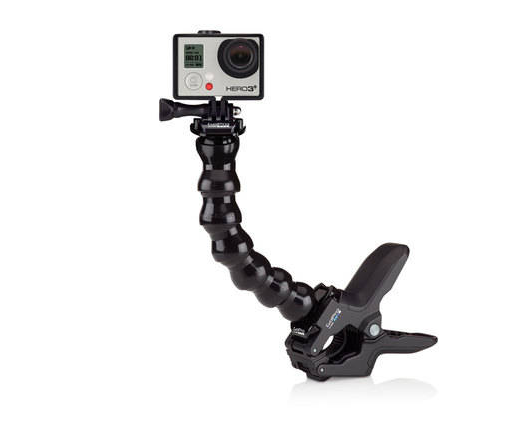 $79.99 on Go Pro’s site but we have seen these for as little as $50 on Amazon. Thank you for this tip. Very helpful info to have from a user.